BOR, South Sudan — While the government of South Sudan is pondering the best way to tackle growing insecurity and prospects of persistent inter-communal hostility, the restive state of Jonglei, the scene of the recent deadly clashes, is enveloped in fear, anxiety, and anticipation of likely reprisal attacks—a situation which, if not handled sensibly, may escalate. Nothing but a single metal pole, driven into the ground, marks the border dividing two hostile communities, the Murle in Pibor and the Dinka in Bor County. Civilians from either side rarely cross this ambiguous borderline. “There are no Murle people in the state capital,” said Orozu Daky, a pastor at the Presbyterian Church who hails from Pibor, the epicenter of the recent clashes. Pastor Duky blames the government for marginalizing the Murle community, saying that, unlike other communities, the Murle don’t have many high-level advocates. “There is no one to bring our case out. We don’t enjoy basic rights in Jonglei state,” Daky told Enough. Pibor still bears marks of the recent conflict: households burned to the ground, trenches along the town’s defense lines, and talk and fear of the massive mobilization in Lou Nuer and Bor Dinka areas to “finish” the conflict once and for all—a continuation of the rhetoric used prior to the December attacks that raised concerns about ethnic cleansing and even genocide. South Sudan police have reported nearly two-dozen cases of raiding and killing just in the past few weeks in both Bor and Pibor County. In a dramatic show of force in late December and early January, Lou Nuer and Bor Dinka unleashed major destruction against the Murle community in Pibor County. Locals in Pibor town say more then 3,000 were killed, some 1,000 children and women were abducted, and 375,000 cattle were stolen. The United Nations, however, cautioned against such inflated estimates of casualties. Humanitarian aid groups warn the recent clashes could trigger a large-scale humanitarian crisis in South Sudan. On the way to the Jonglei capital of Bor, the checkpoint along the road looks over the flat and nearly bare grassland and seems to be manned by as many trained men the state government could assemble, from traffic police officers, the wildlife protection corps, and prison guards. Beyond that point, villages stand abandoned, one after another, in troubling tranquility. Jonglei Deputy Governor Hussein Mar Nyuot said that Bor is overwhelmed by people moving to be closer to overt government presence. “There are goats and cattle on the streets as people from the villages are moving to town,” he said. Security concerns have forced businesses and hotels in town to close earlier than usual, and the increased presence of armed forces is apparent. John, a Dinka from Bor, said people have left their villages and headed to the capital for safety. John said he travelled from Pibor to attend the funeral of his young nephew who was killed by Murle. His nephew was part of a group of young Bor Dinka who attacked the town of Gurmuk in Pibor County on February 7, killing nine Murle and wounding 11 more. John said he was in Pibor, helping an international aid agency distributing food to displaced Murle, when his nephew attacked Gurmuk. “If I was in Bor at the time, I wouldn’t let him go,” John said. John’s story is a common one in Jonglei state. 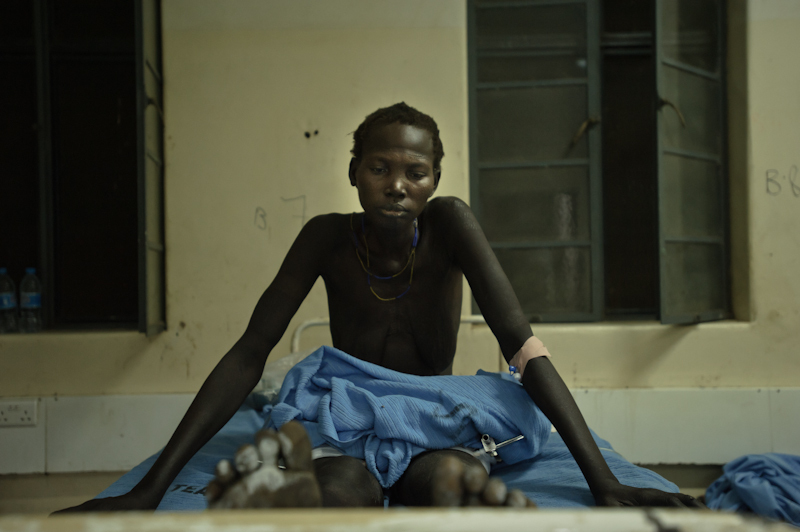 The poisoning residue of South Sudan’s war-ridden past is abundant in these parts of the new country. Unlike educational or economic opportunities, weapons are plentiful for local youth, regardless of the government’s recurrent disarmament activities. And Lou Nuer and Bor Dinka hold a massive grudge against the Murle as a whole for their notoriety as child abductors and cattle thieves—a perception government officials and community leaders have done too little to address, and in some cases, have even stoked.